Let’s face it: guests have a lot of experience staying at hotels. They are familiar with a hotel’s consistent branding, their online booking, their concierge and hospitality services, and their in-room amenities. If you think about it, guests are taking a risk by picking a vacation rental over a hotel, because the rental is individual. A hotel is a brand. Every Marriott is like the next. You know what you are getting. On the contrary, every vacation rental is different. But that individuality my dear is what you’ve got going for you! If you do it right, those hotel guests will never stay in a hotel again. But you’ve got to do it right. It’s easily ruined by having a dirty couch, or cheap knives, or no online booking with no easy way to pay. In order to show guests that your vacation rental is worth their time and money, they need to feel like you are professional, and that your vacation rental will be delightful. When people DO decide to rent a vacation rental home, guess what they are looking for? A home. They want to cook in the kitchen, relax in the living room, wash their clothes, and enjoy some privacy. They want their kids to have room to play; they want open spaces to spend time in with their family or friends. And guess what? Most of that is NOT available in a typical hotel room. So how do you show your potential guests that you are professional and your rental is delightful? How do you run your rental like a hotel and still make it feel like a home? Hotel Tip #1: Have an easy way for your guests to request a stay, book and pay. You need online availability, the ability to accept online booking or online booking requests, a nicely designed website and a way for guests to see who you are. You need to accept credit cards. You need to communicate professionally with your guests. 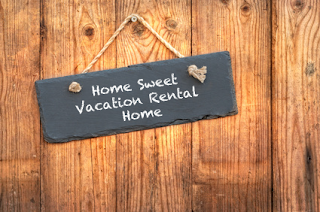 A vacation rental software system should provide these features and more. Hotels wouldn’t dream of not having their own website, not having a booking system, not showing availability. I know, I know, you are “not a hotel.” But you are competing with them for that slippery vacation rental guest. Hotel Tip #2: Embrace hospitality. Get the idea into your head that yes, you have strangers in your VR home and yes, you need to spoil them rotten. That way they will love you and return next year. Because let’s face it: repeat guests are wonderful things. It’s not all that hard with a little bit of work upfront: Be luxurious but only when necessary: make sure your linens, towels, cookware, knives, and beds are high quality, and that your TVs are newer, flat screen ones. (Nothing dates your house like a big fat tube TV, poor things.) Spend less on things that are more functional: trashcans, cutting boards, dishware, bathroom accessories, blinds, etc. Hotel Tip #3: Be clean, uncluttered and comfortable. Make sure you have clean carpets and clean furniture. Make sure you don’t have bugs, musty smells, mold, or anything broken or missing. Be uncluttered. Have good lighting. Be livable. It’s a home. Make sure it works like a home. Have wifi. I recently interviewed 11 vacation rental guests, and ALL of them had “vacation rental horror stories” when I asked them about a recent negative vacation rental experience. They told me about dirty couches, mosquitos in the house, scratched cookware, broken screens, moldy curtains, squeaky mattresses, dim/dark lighting, ants in the kitchen, splinters on old decks, no TVs, sheets that felt one step above paper, dirty underwear left under the bed (I, ahem, kid you not), and quilts leftover from the 1970s. My advice: Don’t do or have any of that. Hotel Tip #4: Provide some special, complimentary amenities. Amenities are key factors when a vacationer is considering lodging options. Amenities can differentiate one property from another. So put your “surprise and delight” hat on, people! Provide small versions of special soaps, lotions, and shampoos. (There is something magical about pint-size packaging that makes people go weak at the knees.) Provide hairdryers! Provide complimentary coffee and tea. Don’t charge for these. But, if you are going to do this tip, make sure you do Tip 3 as well. Don’t spend money on fancy soaps and have old, saggy mattresses. Hotel Tip #5: Communicate with your housekeeping staff. Use technology to keep track of your cleaners, what houses they are assigned to, when they need to start cleaning and when they are finished. Send automatic emails to housekeeping staff with house addresses, number of occupants at the time a booking is made, and then a few days before checkout. Allow your housekeeping staff and inspectors to provide photos of possible issues, update their status, and easily let you know they are done. After all, if you are not available in person onsite, is your only connection to the house your housekeeping staff? Are they your inspectors too? Make sure they know what to look for (and smell for). Make sure they can easily communicate with you about potential issues. All right, ready to get started making some changes? If you feel like, "Well I thought my to-do list was long already!" then just start with one area at a time. If you don't know where to start, call some of your previous guests, and ask them a few questions about their stay. Guests love to talk. This guest post was brought to you by Cindy Amato, co-founder of Bookerville, providers of vacation rental software since 2009. Bookerville is designed for vacation rental owners, managers, and large-scale vacation rental businesses. It can help you set up your vacation rental solution and also create your own website.